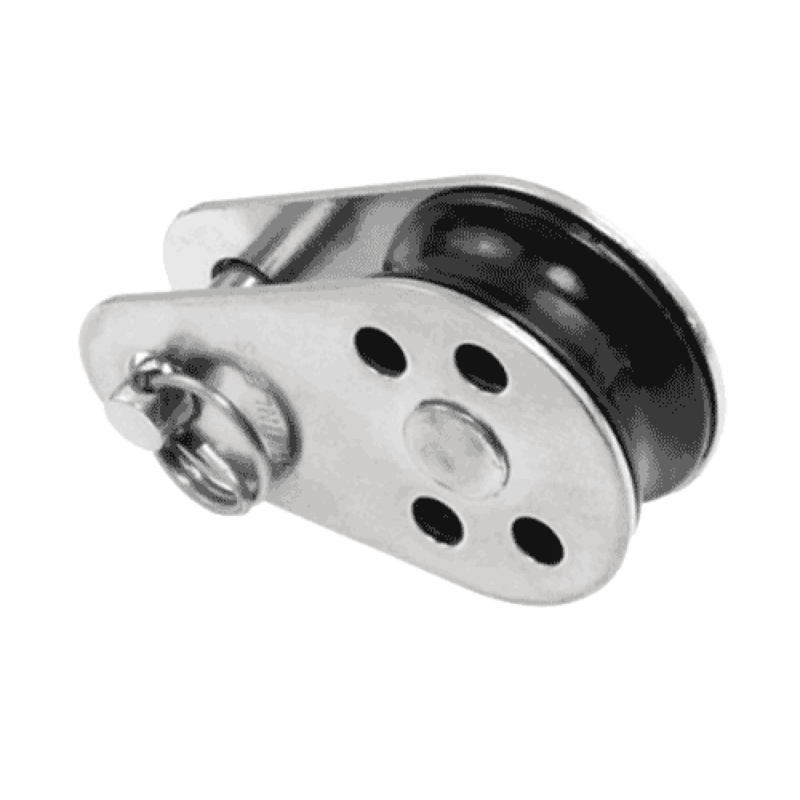 Miami Stainless high quality AISI 304 grade ProRig 25mm Pulley Block with removeable pin has a 25mm sheave and suits wire rope up to 4mm. 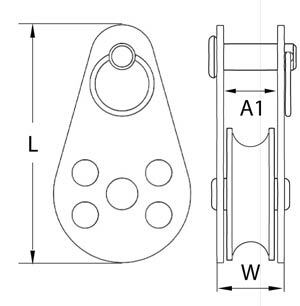 25mm Pulley blocks can be fastened using the removable pin to any flat timber or steel post, wall or panel. They are suitable for general purpose, blind, awning, and shade sail applications.